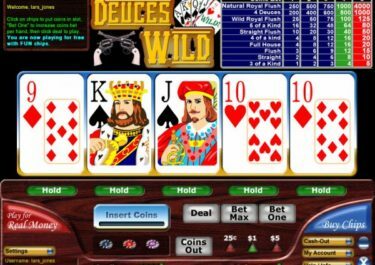 Video poker is probably one of the less known forms of online casino games, although it has actually been something that has existed since the 1970s. It has become a lot more popular in recent years though as it works on the ‘5 Card Draw’ poker card game, which appeals to both land-based and online casino visitors. The game itself is played on a computerised console, similar in size to that which contains slot games, and the earliest models of such appeared at the same time as the first personal computers started being produced. The game would become a lot more firmly established when Si Redd’s Coin Machines (SIRCOMA) introduced Draw Poker in 1979, and would then proceed to gain in popularity throughout the 80s. 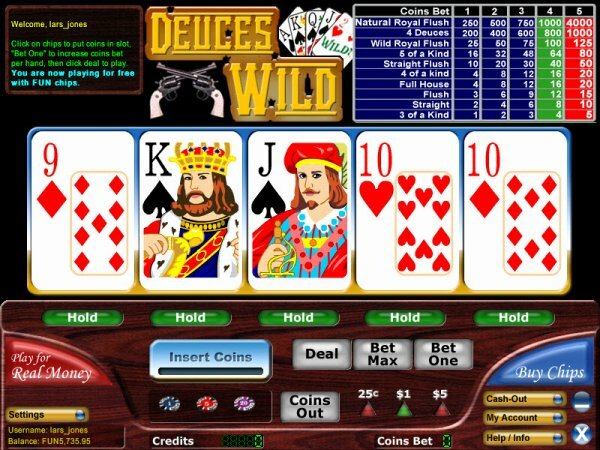 Playing a game of video poker is actually quite simple, and it only requires the player to place a bet of one or more credits before pressing the ‘Deal’ button. You’ll then be provided with five cards, and you’ll have the opportunity to discard one or more in exchange for new ones drawn from the same deck. After this, the game will pay out if the hand matches one of the winning combinations, such as full house or royal flush. Relevant pay outs are usually found in the inclusive pay table. There are a fair few products available to play online from NetEnt which fit into this genre. Of course, these do all follow the same basic rules and patterns of the standard games, but also tend to include their own extra special feature, which allows them to be differentiated from one to another. 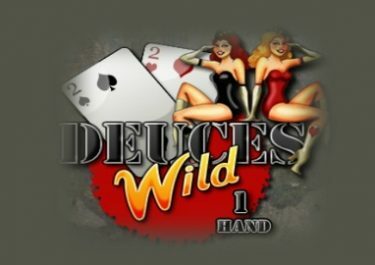 You’ll find that all of them have the exact same kind of layout, regardless of whether you’re playing ‘Classic Deuces Wild’ or ‘All American Double’. There’s a pay table at the top, the different kinds of card hands shown down the left hand side, and the cards dealt across the bottom. 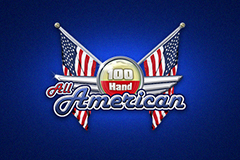 As mentioned, the main aim of playing these games is to form a set of cards which make up a poker hand, which is what are aimed for in a general card game of poker. There’s quite a vast variety of these, so it does mean you may have to study up on them slightly before exchanging and wagering on one of these products. Of course, the idea of being able to swap cards is so that you can hopefully change one or two out in order to make room for a different one which could potentially provide you with a winning combination of some sort. 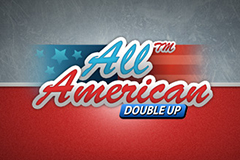 There are 10 games offered by NetEnt, which are available in the video poker category. As mentioned, they’re all basically carbon copies of the other, although with different coloured designs and their own special added features. Take, for example, the product entitled ‘Deuces Wild Double Up’. 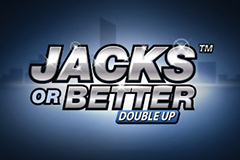 This game’s special feature sees you offered the possibility of doubling up your winnings from a round by guessing whether or not the next card to be turned over will be red or black. This is a fairly common addition to the standard casino games, so those familiar with playing such products should find it an easy side product to participate in. As far as the standard pay outs go, these all depend upon the type of hand you are dealt. As mentioned, you can view the winning hands down the left hand side of each game you access, and these start at the lower end which provide pay outs of one times your bet placed. They’ll then rise up to multipliers of times 4000 (depending upon your wager placed), for example, as is the case with ‘Jacks or Better’. The Royal Straight Flush is the highest paying combination, which requires you to match up a 10, Jack, Queen, King and Ace all in the same suit. Pay outs in these games may differ slightly in terms of what kind of hands you receive a pay out for. The higher paying cards, like the aforementioned Royal Straight Flush, are present throughout all of them. 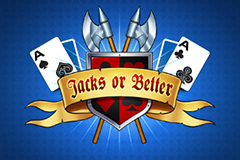 However, if you take a look at the ‘Jacks or Better’ game, you’ll see that the lowest possible pay out comes from being dealt a jacks or better hand. 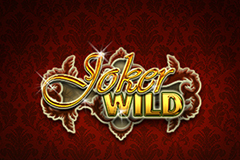 This simply would translate to a game entitled ‘Joker Wild’, for example, which instead offers up the lowest pay out on a kings or better basis. And not only that, but the special feature in that game is that jokers are a wild card, so they’ll act as a substitute. So, as you can see, each different video poker game provides its own kind of minor additional features. This still provides a simple enough basic game, although as mentioned, getting used to the different winning hands does take a slight bit of time.